PT Gajah Tunggal Tbk, one of the largest integrated tire manufacturers in Southeast Asia, launches its all-new Zeneos Victuro Racing Tire. 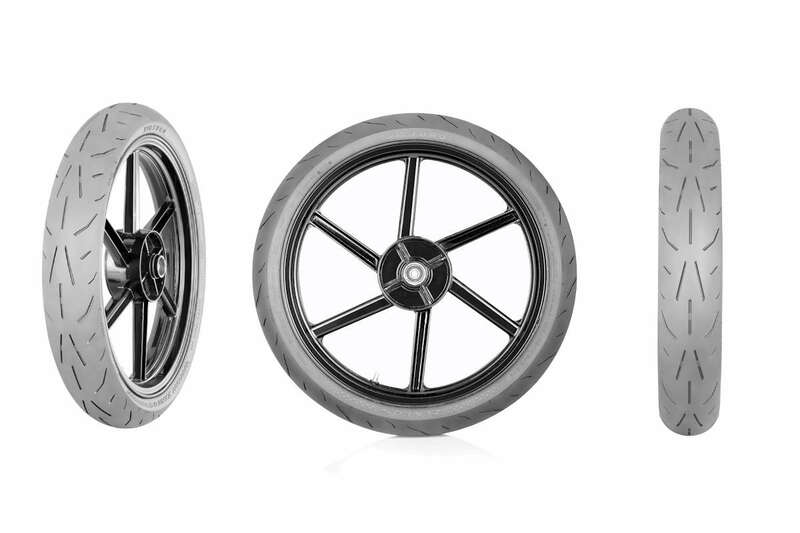 With motorcycle racing gaining momentum and surge in popularity, PT Gajah Tunggal Tbk seizes the opportunity to introduce a new line under its Zeneos brand, the Victuro Racing Tire. “The Victuro is especially developed for the Philippine market with the tire’s new tread compound for maximum performance for cornering in and out, a Breaker-Aramid Application that supports lap time consistency during race, and for long lasting maximum cornering and braking performance,” says Dodi Yanto, Senior Brand Executive, Zeneos. The Victuro Racing Tires have been tested in Malaysia, Indonesia, and Philippines with the Yamaha MX King 150cc prior to the official launch and the feedback is exemplary. Sizes available are 90/80-17, 100/70-17, 110/70-17, and soon 90/80-14. Victuro also announced their official partnership with 4S1M-Victuro Racing Team to represent the brand in all local races and help show proof of the technology behind every Victuro Racing Tires.